Preventative maintenance is the cornerstone of any product life cycle. But even with the best of maintenance, breakdowns and failures occur. Chemetec is there when you need us the most. Our goal is to get your equipment functioning as soon as possible and at or above the manufacturers standards. and vessel-column fluoropolyer linings. 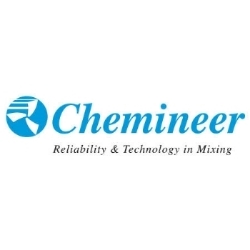 We are the factory authorized service center for Chemineer Agitators, Liquiflo Pumps, Moyno Pumps, Dickow Pumps, and Edlon vessel and column repairs. Chemetec repairs all types of rotating equipment.